Perhaps you’re looking to get some new ideas for your current home, or maybe you’re even considering moving to a brand new neighborhood. Whatever the case, you’re sure to be inspired and delighted by the fully furnished and fully landscaped custom showcase homes presented at Parade of Homes. This 16-day single-site display will be held Oct. 5-20 in the Cypress Creek community of Smithfield. The homes featured will demonstrate the latest in home construction, design, furnishings and technological innovations, so be prepared to appreciate the fine luxuries that come from the resort lifestyle of Smithfield’s finest country club community. 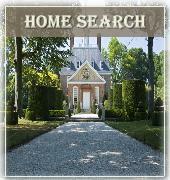 For more info, visit www.paradeofhomesva.com. What is Parade of Homes? Parade of Homes is a 16-day single-site display of fully furnished and fully landscaped custom showcase homes that demonstrate the latest in home construction, design, furnishings and technological innovations. It’s the 27th anniversary year for Peninsula Home Builders Association’s Parade of Homes in South Hampton Roads and the second time it has been hosted in Cypress Creek. The show will feature 7 homes for sale ranging from 2,900 square foot up to over 4,000 square feet. Prices range from the $400 K’s to $500 K’s. The show is open noon until 8 p.m. every day, except Sundays, from noon until 6 p.m. Ticket sales will stop one hour before closing. The event will be in Cypress Creek in Smithfield, Virginia where the community of Cypress Creek features one of the finest golf courses in the area, but you don’t have to be a golfer to appreciate all the luxuries that come from the resort lifestyle of Smithfield’s finest country club community. We feature only the best home builders to design and build luxury homes. The area offers many amenities from shopping to parks, museums and historic landmarks. 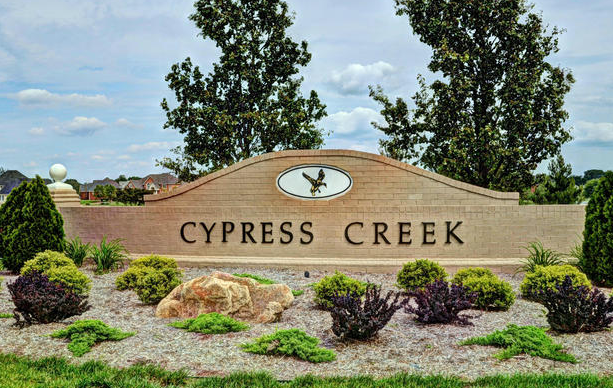 Residents of Cypress Creek very close to the quaint town of Smithfield, with a variety of home styles from the areas finest custom home builders, consumers are sure to find the perfect place to call home. General admission is $10 for a one-day pass. Active duty and retired military guests and seniors (62 or better) get a $3 discount Monday-Thursday. Children 12 and under are free. Special offer Tuesday and Wednesday $5.00 after 5 P.M. Only one discount applies. Who is building homes in this event? Builders participating in the show include: John Barnes of Chesapeake Homes, Virginia Beach; James Crocker of Crocker & Foster Custom Homes, Hampton; Ed Sadler of Sadler Building Corp, Virginia Beach; Danny Exantus & Steve Guerrier of Smart Move Investments, Norfolk; Stephen Quick of Stephen Alexander Homes, Chesapeake; William S. Wirt of Wm S Wirt Construction Inc., Portsmouth. Operation Finally Home, by Sadler Building Corp in partnership with Southern Living. First, it is a builder’s association founded charity building homes for America’s war wounded veterans. Builders, tradesmen, and building suppliers building homes…what a perfect way to give back to those who have sacrificed a normal life for our freedom! The purpose for Operation Finally Home is to remove the burden of providing shelter, so that the family can overcome the devastating effects of the war, and move forward with their lives, not looking backward, but looking toward the opportunities ahead. This is a hand-up and not a handout. This is a step in the direction of a rewarding future as productive members of their community. This home will go to a wounded veteran or his family. The home is fully paid for by donations. The family will be introduced in the near future. The Smithfield House, by Stephen Alexander Homes. Working in partnership with the Curator of the Isle of Wight Museum and Isle of Wight Tourism, the house will feature historical and modern Smithfield artifacts that will interest, educate and entertain the home’s visitors. The Hampton Roads Magazine Home, by Crocker & Foster Custom Homes, shines the spotlight on one of the area’s newest, most dynamic young custom home builders, James Crocker. Come meet the builder and enjoy the many exciting events planned for The Hampton Roads Magazine Home. And Cypress Creek isn’t just about the homes. There are the neighborhood amenities, including a junior Olympic-size pool, clubhouse, tennis courts, boat/RV park, walking trails and a separate bike lane. The golf course also is pay-to-play, which means you don’t have to be a member of the golf club to play a round; the public is welcome. The community is less than 30 miles from places like downtown Norfolk and Peninsula Town Center, 40 miles from Williamsburg and 50 miles to the Virginia Beach Oceanfront.